Wisdom of Life. : 070707 sounds like OHeavenOHeavenOHeaven! At the stroke of twelve mid night later of today, the date would turn 070707 or the 7th July 2007. On this 070707, I believe it is a very significant day to remember. 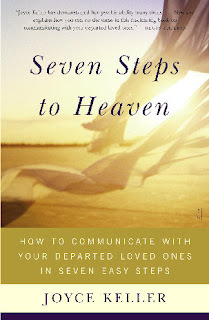 The number SEVEN has always been related to HEAVEN in figurative term and memory. 070707 can be written as 'OHeavenOHeavenOHeaven which sounded very spiritual and holy. It is a heavenly day of luck, peace and love. Those who meet for business, would get fruitful result. Those who have misunderstanding and are prepared to meet tomorrow, would be forgiven and be better friends. Those who seek love, the man and woman who meet would be more loving and caring to each other. Although I try to do things right on my day to day life, reaching and touching lives during these many years, perhaps I would have unintentionally hurt or offended some one without even realising and knowing. I know nobody in this world could be prefect, including myself. I take this opportunity of this meaningful day 070707, the almighty OHeavenOHeavenOHeaven, to ask for forgiveness from those I might have hurt or offended. I like to say, "I am really sorry! Please forgive me in whatever I had done wrong." Because, "To err is humane and to forgive is divine." Happy Birthday 070707 to me. It is and will be my most significant day of my life. And especially knowing the most wonderful and caring friend like you, Robert!